How much does it cost to travel to Kaikoura? How much money will you need in Kaikoura? 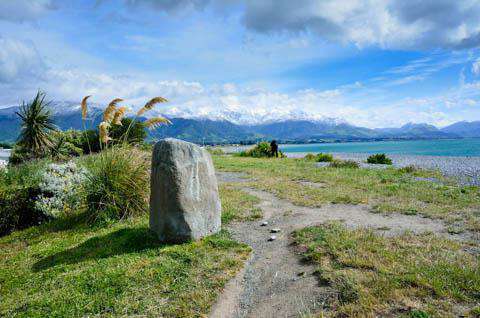 NZ$136 ($91) is the average daily price for traveling in Kaikoura. The average price of food for one day is NZ$51 ($34). The average price of a hotel for a couple is NZ$63 ($42). Additional pricing is in the table below. These average travel prices have been collected from other travelers to help you plan your own travel budget. Kaikoura is a town on the east coast of the South Island, situated between Christchurch and Belnheim. It has a permanent resident population of 1,971. The Seaward Kaikoura Mountains that surround this town collide with the Pacific Ocean, and the continental shelf edge is just offshore. The ocean in Kaikoura is very rich in marine life, especially seals and whales. The main sights to see in Kaikoura are marine life. The most common species of wildlife in the area are sperm whales, dolphins, seals, and albatross. Different seasons bring different types of wildlife, so you could also spot Humpback Whales, Blue Whales, Pilot Wales, Orca's, Petrels, and Shearwater birds. There are tons of companies in town that offer sightseeing excursions and tours. These tours can be taken on the water or above the water in a helicopter. Another sight to see is the Fyffe House. It was the home of the first family that settled in Kaikoura, the Fyffe family. Today it is the oldest standing building in Kaikoura and was built on piles of whalebones back when the town was a whaling settlement in the 1770s. The house is operated by the New Zealand Historic Places Trust. Many Europeans used the town as a whaling station in earlier times, and you can still find the remains of pots that rendered whale blubber along the shores in town. Kaikoura became part of the larger region of Canterbury in 1992. A few other cities in Canterbury are Christchurch, Timaru, Ashburton, Springfield, and Omarama. The region is quite large as a whole, so if you are planning to visit some of these towns and cities, you will need to allow for more time. Just north of the town is Waipapa Bay (30 kilometers) where you can often see dolphins and whales as well. There is a wonderful campsite there that doesn't cost much and offers a discount if you buy some of the crayfish they have for sale. Swim with dolphins and seals! This is a one of a kind experience in Kaikoura. The New Zealand fur seals are extremely playful animals and it is quite a memorable activity. Hiking is a wonderful way to experience the dramatic landscapes of Kaikoura. The Kaikoura Peninsula Walkway is a 3-hour trip that takes you along a beautiful path where you will see a seal and bird colony, as well as unique limestone formations. Hike the Fyffe track, which takes you up Mt. Fyffe, and experience the panoramic views of the entire Kaikoura peninsula once you make it to the summit. The hike is about six hours return, but there is a hut half way up that is a perfect place to take a break and have lunch. If you are hiking in the summer, you can even camp near the hut and do the hike in two days instead of one. For a cultural activity, Maori Tours Kaikoura offers a genuine insight into the indigenous Maori people and their lifestyle. Seafood is the culinary expertise of Kaikoura. In Maori, the language of the indigenous people of New Zealand, kai means "food" and koura means "crayfish". You can get excellent fresh crayfish at a place called Waipapa Bay Lobsters, about 30 kilometers north of the town. Fish and Chips are another specialty in Kaikoura, especially the ones that The Top Shop Fish and Chips serves. The Strawberry Tree is a great restaurant to eat at and offers a cool and relaxing environment with fun activities on different nights of the week. They have quiz nights, jam nights, and proper bands that come and play live music on the weekends. There is a beer garden as well with a fire pit, and this restaurant serves almost any type of seafood you could imagine! Buses that run between Picton and Christchurch always stop in Kaikoura, so that is one option of getting to the town. There is also a scenic rail line between Picton and Christchurch that stops at Kaikoura twice a day. This is a great way to be able to see some beautiful views while you make your way to Kaikoura. The route takes you between where the mountains meet the sea and at one point gets so close to the shore that you can often see some seals basking in the sun. You can also get to Kaikoura by car; there are many rental car companies in New Zealand. Once in Kaikoura, you can get around on foot.